Are you a Good Designer willing to showcase your Talents? This opportunity is for You!!! Many companies are outsourcing their Design related work thro' Freelance websites. Mostly everyone will be asking for the samples of previous work before awarding the project. The Beginners will not get a chance to show any previous work as no one will be willing to give any task without seeing the previous work. This will go cyclic to form Deadlock. Similar problem will be faced by Fresh Developers as well as Fresh Article writers also. Developers have the option to use the Open Source platforms for getting work experience. And, Article Writers have the Guest Post option to get work experience in their writing career. But the Designers are NOT having much options to show their talents. To help the Designers, I have taken an initiative long back by creating separate blog for showing the work of the Designers. But that initiative was NOT successful as my blog fails to get visitors. Now I have decided to allow the Designers to show case their designs in our Motivational Quotes site "TheQuotes.Net" which is getting good number of visitors within short period of launching the site. So, I think this Quotes site will be the appropriate place for showing the creativity & designs. The Designers who are interested to show their Designs in TheQuotes.Net should contact me (rajamanickam.a@gmail.com) with their designs. And, find below the Terms and Conditions. - The Size of the image should be 500px X 500px. Refer the Sample. - The Image file size should not exceed 150KB, and prefer to have around 50KB. - And, the image should hold any of quotes in this list. If you are planning to use the Quotes which is not available in the list, you need to check with me to make sure that your Quotes is suitable to be displayed in TheQuotes.Net site. - The Designer can mention their email id or website URL on the image. - I reserve the right to reject any unsuitable images. TheQuotes.Net will start getting huge traffic as I have taken initiative to promote our Auto Tweets system which will get traffic to this site virally. And, I plan to promote/highlight the attractive images so that they will get more exposure. I plan to choose the attractive images based on the count of social media Shares. Today (January 26th) India celebrates its 63rd Republic Day. The main ceremonial parade was held in the capital "New Delhi" with Thailand's first woman Prime Minister Yinluck Shinawatra as the guest of honour. Shinawatra was seated with Pratibha Patil, India's first woman president, as marching bands and military hardware filed past. India was also set to put on display for the first time its Agni-IV missile which can launch a one-tonne nuclear warhead. I wish all fellow Indians a Happy Republic Day. Google showed below Doodle for India's Republic Day. Randi's RtoZ Media Initiative has proved that just having Huge Money is NOT enough to become a Successful Entrepreneur. Randi Zuckerberg, Former Marketing Director of Facebook, had clearly proved this Fact (i-e having huge money is NOT enough to become a Successful Entrepreneur) in a solid way by failing to bring up her start-up "R to Z Media" at specified time even then she is having huge money . In August 2011, Randi resigned from Facebook to start "R to Z Media", but she couldn't couldn't launch her website RtoZMedia.com itself in the past 6 months. Since Randi Zuckerberg was a former Facebook Marketing Director, I thought her initiative of new Social Media firm "RtoZ Media" will be a successful one. And, therefore I predicted huge search volume for the words "RtoZ Media" and "RtoZ". And, surprisingly I found that there is No Trade Mark issues for the names "RtoZ media" and "RtoZ". So, I registered few RtoZ name related websites to make use of the huge search volume for the keywords "rtoz media" and "rtoz". Past 6 months I am monitoring the search volume and News about "R to Z", "RtoZ", "RtoZ Media" and RtoZMedia. Based on my observation, Randi is NOT able to bring up her Start-up initiative in the 6 months irrespective of her huge wealth. And, interestingly she started deviating her focus on some other things such as acting in a film "olive", speaking in conferences and promoting small brands thro' her twitter account and facebook page. She might not have a reputation as a cutting-edge innovator like her brother, but Randi is no slouch. She, too, went to Harvard, graduating in psychology at about the time Mark was dropping out to focus full-time on the phenomenon he had unleashed. But I don't know what Media is going to tell about her now. According to the below poll, most of the people didn't like the name "RtoZ media". At the time of writing this post, more than 68% people voted as they didn't like the name "RtoZ Media". I couldn't understand how Randi's RtoZ Media will promote the brands of their customers while they were not able to understand/read people's thoughts. So, we can clearly understand that having huge money is NOT enough to become a Successful Entrepreneur. Right? You can share your thoughts thro' the comments. And, you can take this poll too. Few weeks back Randi Zuckerberg had sent below Tweet. The entrepreneur's dilemma: Maintaining friendships. Building a great company. Spending time w/family. Staying fit. Getting sleep. Pick 3. I don't think any Entrepreneur will consider "Building a Great company" as an optional choice. What do you say? I welcome comments about it from Entrepreneurs and aspiring Entrepreneurs. And, I think the tweet should read as "A celebrity's Dilemma" instead of "The Entrepreneu's dilemma". Today I came to know about 95P.Com Virus. I got a chance to see a machine affected with this 95p.com virus. I am NOT sure how that computer was affected with 95p.com virus. But I saw the impact of the virus. It redirect any link opened from Google Search results to 95p.com Initially I thought 95p.com is just spyWare or adWare. But it looks like a virus. I couldn't identify the process name related to 95p.com virus in the Task Manager. The sample problem occurs when doing search from Ask.com and Yahoo.com also. I did some Google search for removing this virus. And, it looks like it is difficult to remove it manually. Almost all the blogs/sites are suggesting to find the name of the random process related to 95p.com from Task manager before start removing the entries related to that process from Registry thro' regedit. But that suggestions were not helpful as I couldn't find the process name itself. Many sites offered to give some cleaning tools for removing the 95p.com redirect virus. But I am not sure whether they will work or not. If you know more about this 95p.com virus, you can share it thro' the comments. And, if you are affected with this virus, you can use this page for doing Google Search. The Search result from this page is exactly same as Google.com Search results. Remember the below URL to do Google search when you are affected with 95p.com virus or any other similar situations. Today I came to know that the website selling/buying marketplace website Flippa.com is NOT allowing links in the Auction listing. Few days back, I listed our ComputerQuiz.info site in the Flippa auction. But it was ended without meeting the reserve price. So, today again I listed it for half price. Normally while relisting the Auction, Flippa will retain the old Description "as it is". But today it automatically removed the hyper links in the Description. Initially I thought there may be some issue in my browser as FireFox recently updated the new version. So, I tweeted @Flippa as "@flippa I am NOT able to add Links within the Listing description. Is this a new restriction from Flippa? or any issue from my browser?" But I didn't get any reply tweet from Flippa. So, I did some analysis to make sure that it is NOT the browser or editor issue. I checked all the new listings in the Flippa. None of them were having links in the description. So, it seems Flippa is restricting the links in the Auction listings. And, real time traffic reports of this blog shows that some people are visiting my previous post about Flippa by searching "links in flippa auctions"
It confirm that Flippa's blocking of Links in the Auction listing. @Flippa replied for my Tweets saying as "Thanks for the heads-up, we'll look into this.". So, it looks like technical issue than policy change. I will update here if I get any additional details. Today (January 11th, 2012) Google shows special Doodle for marking the 374th birth Day of Nicolas Steno, the Danish anatomist widely regarded as the father of geology. The doodle illustrates the each letter in the Word "Google" in a geological style, with fossils in various bottom layers, with a green surface on top. As a young man, Steno set out to study medicine, leaving his native Copenhagen in his early 20s for the University of Leiden in the Netherlands. He then studied anatomy in Italy, where his research on shark teeth led him to question, among other things, how one solid object could be found inside another — such as with fossils. His ideas on “solid bodies within bodies” were published in 1669 in his seminal Prodromus dissertation. Steno, however, would soon leave science behind. 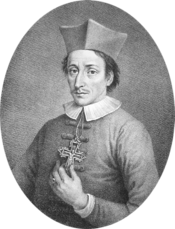 Born into a Lutheran family, he converted to Catholicism and was ordained as a priest in 1675 and became a titular bishop two years later. Recently I had worked on developing a Script for getting data from external websites using php cURL. It took more Time and Effort for executing the script, as the script execution was stopped intermittently many time due to unknown issue. i-e I had to rerun the script multiple times to collect the data from the third-party site. I couldn't find the reason why the script execution was stopped. Anyway, I found a work around to handle this issue. I updated the php script to store the extracted data in a mysql table with status column. i-e once data for particular item is extracted fully, the corresponding row in the mysql table will me marked as "completed". And, updated the php script to process only the rows which are NOT having status as "completed". This workaround saved lot of time and effort. Anyway, I am still looking for the root cause of this issue. I already set huge value as script time out period using "set_time_limit()" function. Why the Salary for "Software Testing" over takes Salary for "QTP"? Recently Google YouTube had informed me that my Channel becomes the part of YouTube's Partner program which will allow me to earn good revenue by releasing quality, unique and useful videos on my YouTube Channel. So, I had decided to add lot of Tutorial Videos for Software Testing and QTP for Free. Before joining Google's YouTube partner program I thought of publishing those videos as paid content. Today I have noticed a strange thing while preparing Tutorial video for explaining What is QTP. I was trying to compare the salary of QTP and Software Testing using indeed.com data. The comparison of QTP Vs. Software Testing gives strange result. From the above result graph, we can understand that the salary for QTP related jobs went down past months while the salary for "Software Testing" went high during that same period. I am NOT sure whether really the salary for QTP got reduced or this result is due to some other reason (e.g Indeed data collection problem, search term might have changed).